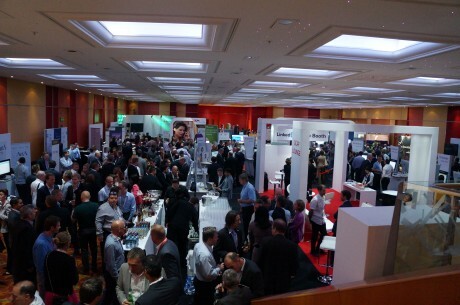 It was great to work with Genesys Telecommunications again on their annual GForce EMEA event. Since 2006 we have been responsible for creating, delivering and managing the exhibit arena, registration lobby, plus the settings for ad hoc meetings. Allied to this has been the supply and installation of the event’s general signage. This scope of work has been carried out in numerous cities over the years such as Athens, Amsterdam and Barcelona, returning this year to London. A twist this year was that the sponsors had free rein in creating their own booths. We were able to offer our range creative designs to the vast majority of the 25 partners, which in turn transformed the exhibit area into a lively, engaging networking area. The pavilion space was enhanced by a micro theatre, again designed, installed and managed by us. We are again delighted with the overwhelming positive feedback from the sponsors and Genesys and are already looking forward to next year!